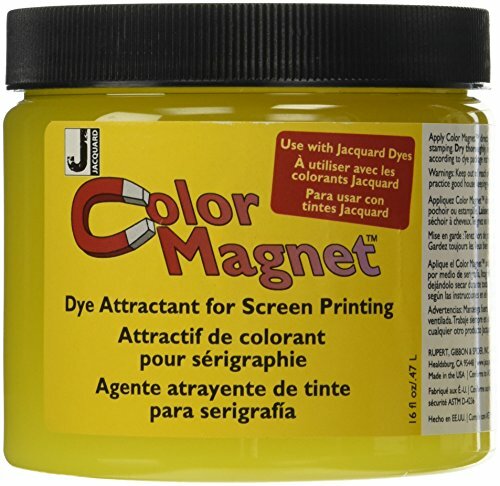 Jacquard Color Magnet for screen printing can be painted, stamped, stenciled or screen printed on. Use Jacquard Color Magnet for screen printing to create a tone-on-tone effect. The solution will attract dye, so the area will "magically" appear darker where it has been applied. Use it in combination with most types of Jacquard dyes.